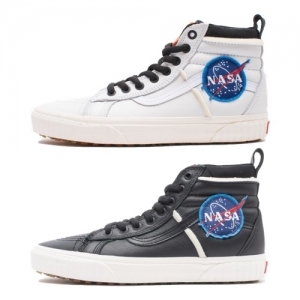 Teased way back in April, it seems the collaboration between SoCal footwear giants Vans and unquestionable masters of the universe, NASA, is definitely happening. 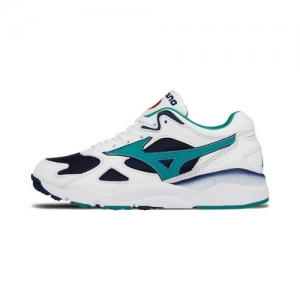 The timeless OLD SKOOL and SK8-HI 46 MTE DX silhouettes are constructed in a choice of True White, Fire or Black leather, with an array of NASA branded insignia – from “shuttle” tags, removable velcro details, and the instantly recognisable NASA logo. 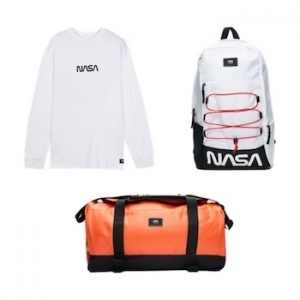 The shoes are accompanied by a clothing capsule consisting of a Space Anorak, NASA branded version of the Torrey Padded MTE jacket, a selection of co-branded jersey items, the Grind Skate Duffel bag in orange and a Snag Plus Backpack in black and white.